Recognized as a national leader in smoking cessation, Chicago now holds low smoking rates among youth and adults. The City of Chicago, for the first time, sponsored a week tailored around smoking cessation that included public education initiatives across Chicago. 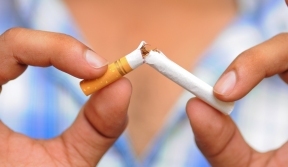 Smokers are urged to talk with their doctor or healthcare provider about help quitting, call the Illinois Tobacco Quit line at 866-QUIT-YES for free cessation resources and visit, www.QuitYes.org and www.MyTimeToQuit.com for additional tools.